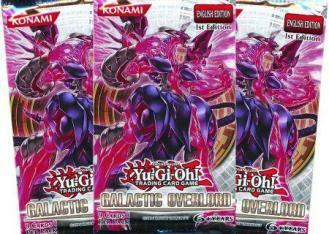 Yu-Gi-Oh players everywhere are talking about Galactic Overlord, the newest booster set released by Konami. 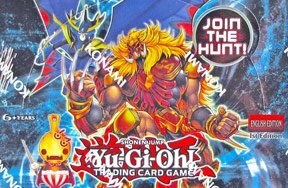 This set brings a lot of useful support cards as well as powerful monsters that will help you build your championship deck! If you Normal Summoned this card during Main Phase 1, you can Tribute it, draw 2 cards, then it becomes the End Phase of this turn. While you cannot Special Summon during the turn you activate this effect, the draw power it gives can make a huge difference. During either player’s turn, when a monster effect is activated on your opponent’s side of the field, you can detach one Xyz Material from this card to negate the effect! Furthermore, when you do that, you inflict 1000 damage to your opponent. This is an amazing a card can fit into a variety of different decks and is a must-have in competitive battles! When your opponent’s monster destroys this card in a battle and sends it to the Graveyard, you can Special Summon 1 Dragon-Type Normal Monster from your hand, deck, or graveyard. When this card is Tributed, you can Special Summon one Hieratic Normal Monster. What’s good about this card is that it can be Normal Summoned without penalty thus it isn’t dependent upon other support cards to bring it out, making it versatile! These are just a couple of the notable cards in Galactic Overlord, a set that brings a lot of power and support to the Yu-Gi-Oh Card Game community. Post below to let us know what your favorite card is from this set! Structure Decks or Your Decks? I love the Structure Decks. I prefer my own decks. I take Structure Decks and modify them!